Kenya is bustling with music, bopping heads from every corner especially of the capital; jazz bands, rap artists even beat boxers. Despite the music scene being so colorful, not much can be felt when it comes to matters classical music. Nairobi, for instance, is full of entertainment bars, cultural centres and hubs where art and music enthusiasts can meet, socialize and enjoy some good old music. Classical music in Kenya, has been there since before independence with highly trained professionals who have filled in the big seats to make up one various orchestras within the country. I took time to go through the various orchestras within the country and outline the beauty and richness that we have within the classical scene, that we have so often taken for granted. There are a few classical ensembles such as: Nairobi Orchestra, Kenya National Youth Orchestra, Safaricom Youth Orchestra, Kenya Conservatoire of Music Orchestra, Ghetto Classics Orchestra. The Symphony Orchestra was started in 2004 by the then Director of the Conservatoire, Atigala Luvai. It was the first in Kenya (and still is the only one) to accept players of any ability and any age, and by allowing players who would otherwise not have such opportunity, has had significant impact on instrumental education. 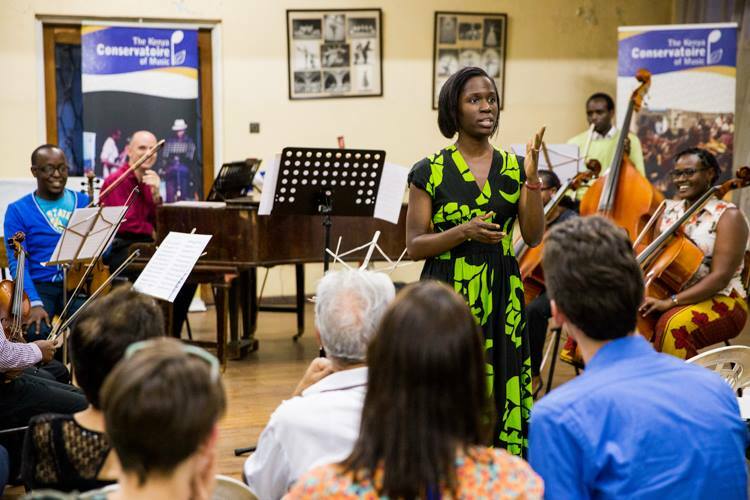 The orchestra has performed extensively in Kenya and toured Kampala and Dar-salaam as well as hosting leading international conductors including Dr Vijay Upadhyaya from Vienna and Dr David Choi from the USA. 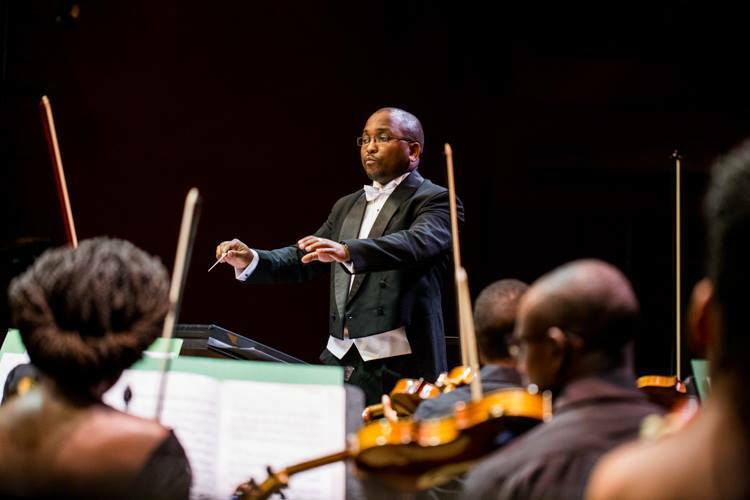 After the introduction of the Prelude Orchestra for beginner players by the current Director Wandiri Karimi, the Symphony Orchestra now comprises of intermediate to advanced players, including teachers of the Kenya Conservatoire of Music. The current orchestra is fast approaching a standard symphony orchestra in size and instruments. The repertoire of music varies each term depending on the theme chosen by the committee, but there is always music to challenge and please everyone. Nairobi Orchestra comprises of the most advanced classical players in Kenya. It has a great heritage of diversity, with many nationalities always represented. Most local players are now alumni of the other orchestras, including the Kenya National Youth Orchestra. These young players now form a significant majority including the concert master, David Ralak, Principal 2nd Violin Bernadette Muthoni, Peter Nyabuto on bassoon, Philip Maina on Clarinet, Brian Kepher and Dorothy Muchere on Percussion, Joe Muthui on Trumpet, Papa Viola on Double Bass, Bantu Kinama and on French Horn and Jason Rae on Trombone among others and Ghetto Classics who make up 70% of the membership in the orchestra. 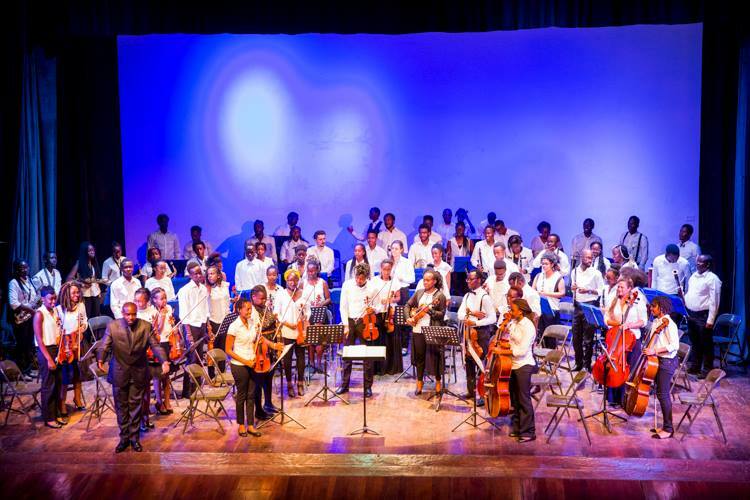 The Kenya National Youth Orchestra was formed in 2010 by the Art of Music Foundation Established by Ms Elizabeth Njoroge as a special ensemble that comprises members aged 14-25 years. The KNYO, formation was inspired by the Venezuelan movement for social change through music, widely known as El Sistema in an effort to develop leaders, promote national heritage, cohesion integrity and pride through music. The KNYO practices the best values of collective participation and benefit through music, highlighting hard work, discipline, teamwork, community awareness and personal integrity. The KNYO brings players from diverse socio-economic, cultural and ethnic backgrounds into a representative ensemble of the best that Kenya has to offer. For each of their concerts, the Kenya National Orchestra has performed over the years, they have been able to incorporate musical pieces composed by Kenyan composers and writers in an effort to highlight Kenyan folk, pop, choral and classical music composers like Njane Mugambi, Philip Maina and Nancy Day as well as top arrangers of the past like Dr Arthur Kemoli. Advanced players from KNYO also serve as instrumental tutors at their sister initiative under the Art of Music Foundation, the Ghetto Classics in Korogocho. A significant number of these advanced players in KNYO have since come from Ghetto Classics. It is a social action and musical education program which benefits youth in the Korogocho slum as well as other areas within Nairobi. The project was initiated in 2008 by Ms Elizabeth Njoroge and the Art of Music Foundation, contributing ways to enrich the lives of young Kenyans through music. Elizabeth Njoroge, has become a mother figure to the players in this project. There are around 200 members who are aged between 7 to 24 years in Korogocho. Overall, more than 600 children have benefitted from this project through the Carnegie Hall’s Weill Institute ‘Link-Up!’ programme. This programme teaches music to primary school children in 10 schools in Nairobi and 4 more in Mombasa, leading to a grand joint concert at the end of every year that combines the KNYO with over 600 recorder players from these schools. Funding has been the greatest challenge to this programme. It has slowed down the growth of the orchestra but through goodwill ambassadors such as Safaricom Limited, through the Safaricom Jazz Festival, proceeds from each event have been channeled towards buying of equipment, supporting instrumental tutors, transport and administration costs and most important, social outreach through medical and education funds and family support in the community. 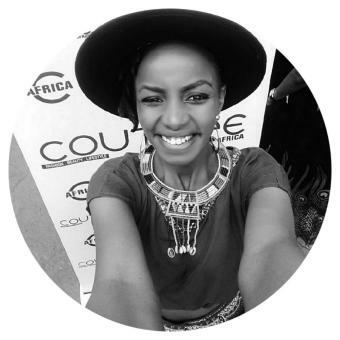 This is a music ensemble that was launched in 2014 by the current C.E.O of Safaricom, Bob Collymore, former marketing Director Rita Okuthe and the Safaricom Brand Experience Team. It comprises of 80 members aged between 10-18 years. The performers meet every Saturday under the directorship of Duncan Wambugu and Levi Wataka, who are renowned classical music conductors in the country. 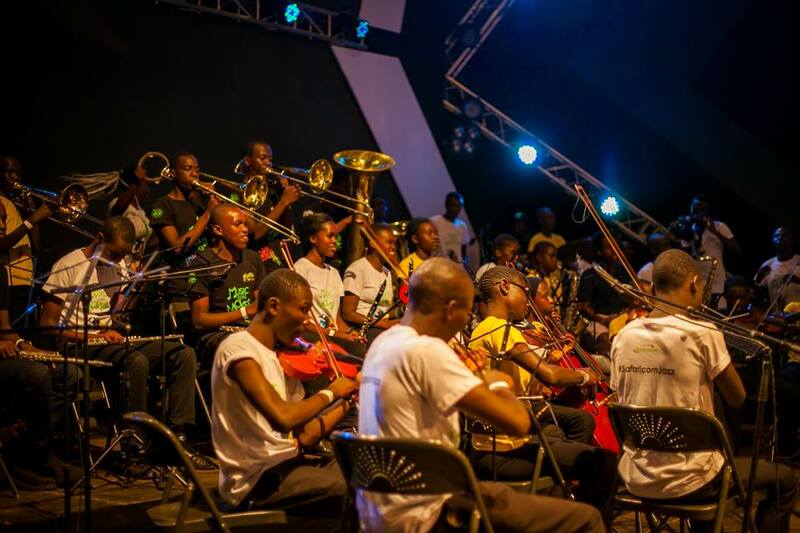 The Safaricom Youth Orchestra had their first full performance on 12th October 2014-an event that featured the Safaricom Choir. 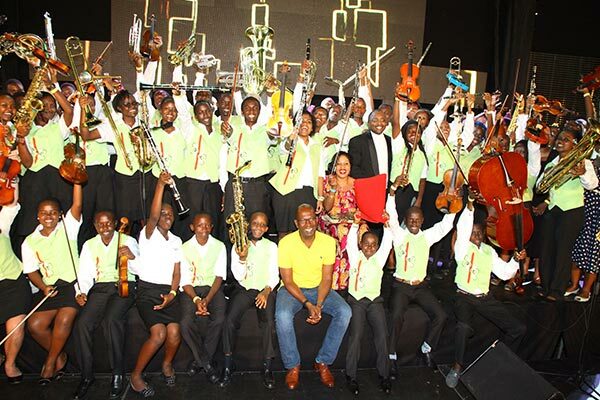 Being their first publicly attended event, the Safaricom Youth Orchestra dazzled the audience. The goal of most orchestras in Kenya, is not only to play quality ensemble music for discerning audiences, but also to nurture and harness young talent in instrumental music, embedding the discipline, ethics and approach in their character, hence contributing to a stronger and more fulfilling society. Kindly contact me as I would like to set up a foundation for music to support the youth and under-privileged society to either find peace, compassion, love and a livelihood through music. I am a Piano teacher and willing to assign my proceeds to this initiative. With your network, we can perhaps reach a wider network and make a bigger impact.